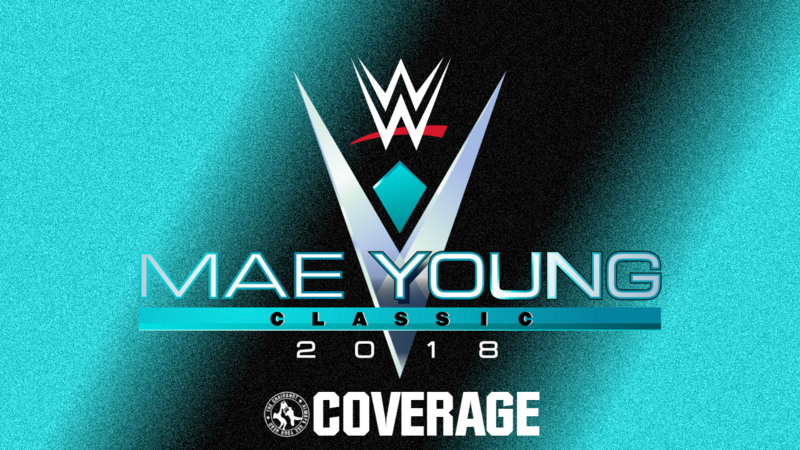 We roll on into the second night of the second WWE Mae Young Classic! Who will join Lacey Lane, Rhea Ripley, Tegan Nox and Meiko Satomura in the next round? Deonna Purrazzo VS Priscilla Kelly; Purrazzo wins and advances. Aerial Monroe VS Zeuxis; Zeuxis wins and advances. Kacy Catanzaro VS Reina Gonzales; Catanzaro wins and advances. Ashley Rayne VS Mercedes Martinez; Martinez wins and advances. Deonna Purrazzo VS Priscilla Kelly! The Virtuosa not only returns to WWE and NXT, but she returns in the second edition of this prestigious tournament! Meanwhile, the gypsy from Georgia has a fighting style that defies expectations. Both women want to show the world what it takes to compete at this level, but who will show the other they have what it takes to advance? Deonna offers a handshake, but Priscilla slaps it away. If that’s how it is, Deonna will play that game. The fans rally as the bell rings. The two circle and tie up. Priscilla gets the waistlock then the full nelson then a hammerlock and snapmare. Deonna slips out and to her own armlock and arm wrench. She gets a headlock and takeover, but Priscilla headscissors. Deonna works her way out, using a full headstand. Fans applaud and the Virtuosa takes a bow. Deonna and Priscilla circle but Priscilla knees low. Priscilla whips Deonna but Deonna goes up and around then under. Deonna locks hands with Priscilla, laces around to a hammerlock then leap frogs and goes under. Another show of hands but she uses that to roll Priscilla up, TWO! Priscilla is reeling but fans love Deonna. Deonna runs in and blocks the boot to throw Priscilla down. Priscilla scrambles to ropes and Deonna has to let her go. Priscilla comes back with a bicycle boot! Cover, TWO! Priscilla drags Deonna up for forearms, then chops her in the corner. She back elbows then slings Deonna out for a Penalty Kick! PK gets the PK, covers, TWO! Priscilla keeps on Deonna with a dragon sleeper, but fans rally up. Deonna endures as Priscilla thrashes her around. Priscilla shifts to a cover, TWO! Deonna gets to a corner but Priscilla runs in, only to get an elbow. Priscilla also runs into a boot, but she grabs Deonna by the hair. Deonna chops back, then chops again. Deonna whips to hip toss, handspring and dropkick! Cover, ONE, but Deonna keeps her cool. Deonna brings Priscilla up but Priscilla standing switches, shoves and then runs to get Deonna with an STO! Cover, TWO! Priscilla grows furious with the Virtuosa, and she whips. Deonna reverses into a Russian leg sweep, roll through to the Fujiwara! Priscilla endures but this is Deonna’s best hold! Priscilla taps, Deonna wins! The Virtuosa is victorious! She is so happy she could cry, because she never thought she’d be back here. But her return to WWE has just begun, will it continue all the way to the top of this tournament? “Big Swole” Monroe is ready to talk the talk and walk the walk in her home state of Florida, as well as hand out high fives to the fans, and beatings to her opponents. Meanwhile, the reality of Mexican Strong Style “is ready for everything”, and will show the flavor of lucha libre. Two very different styles but only one will advance! Aerial and Zeuxis shake hands and the bell rings. The two circle, tie up and push each other back and forth. They break and Zeuxis swipes at Aerial. Aerial is not about to let Zeuxis mess up her hair. She warns the luchadora not to mess with the hair, unless she wants to get dropped. Zeuxis swipes again but then dodges all of Aerial’s kicks. They collide with headbutts, then Aerial whips. Zeuxis reverses and dodges, but then Aerial dodges back. Aerila knees Zeuxis down, covers, TWO! Aerial drags Zeuxis up but Zeuxis hits back with a forearm. Then she messes up the hair! Aerial fires off palm strikes, then runs, but has to dodge before giving Zeuxis a stiff backhand. Aerial tells her what’s what while fans chant “You Got Dropped!” But then Zeuxis kicks out a leg to also knee Aerial back. Zeuxis takes aim and hits a big uppercut! Zeuxis puts Aerial in a corner, then grabs the hair again. She throws Aerial by her hair and sends her for a spin! And then again, before pulling at that hair with both hands. 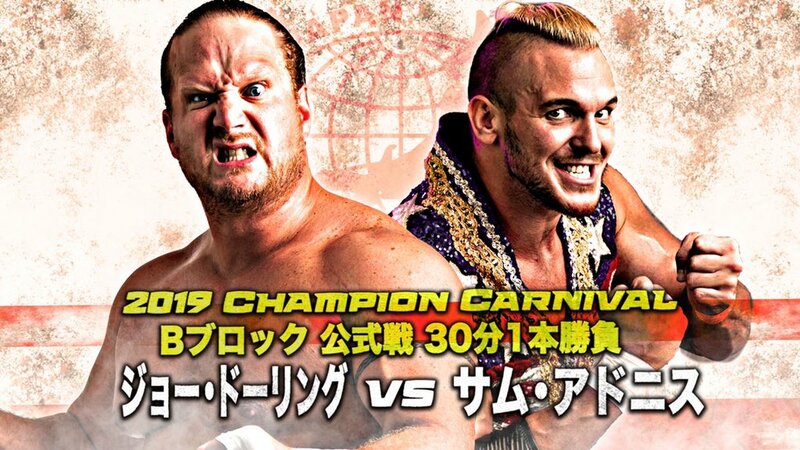 Fans boo but Zeuxis embraces it. Cover, TWO, but Zeuxis drags Aerial up for a standing abdominal stretch. And she pulls on the hair! 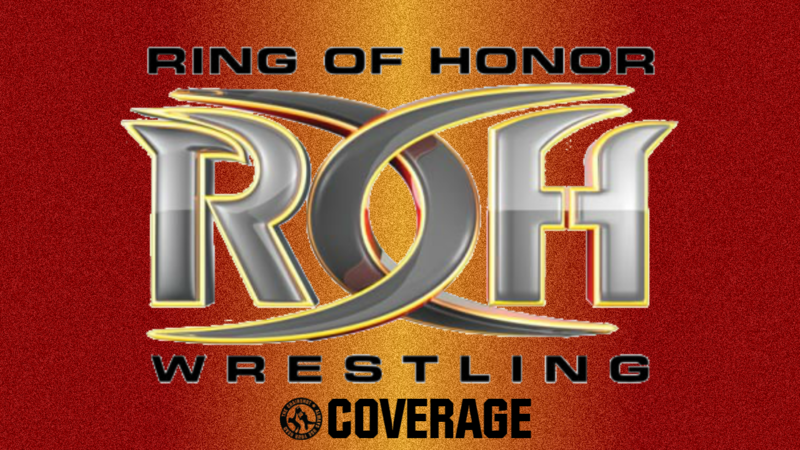 Fans rally up, as do Aerial’s husband, Cedric Alexander, and baby girl Odessa. Mama Monroe gets out and crucifixes Zeuxis, TWO! Zeuxis reels Aerial in but gets a back elbow, so she throws Aerial down by her hair. Cover, TWO! Zeuxis puts Aerial in a camel clutch, and hooks the nose! The ref reprimands Zeuxis so she throws Aerial down. Aerial powers up with chants of “Swole! Swole!” She blocks the kick, throws Zeuxis down, then tops it off with the running uppercut! Zeuxis gets to a corner and Aerial fires up. Aerial rolls Zeuxis out, waits her out, then hits the mule kick! Cover, TWO! That was close, but Aerilal has ideas forming. She kicks but Zeuxis covers her with a deep bridge, TWO!! That was even closer. Aerial kicks Zeuxis’ legs out, then hits the running complete shot! Both women stagger but Aerial hits more palm strikes. She runs out then in, but Zeuxis puts her on the top rope. Zeuxis rocks her with a right, then climbs up to join Aerial. They go to the very top, for a SUPER SPANISH FLY!! Cover, Zeuxis wins! La Delzura, aka The Sweetness, wins it for the luchadora as she grounds Aerial Monroe. Will the artful goddess of war paint herself a picture of success? Kacy Catanzaro VS Reina Gonzales! A gymnast, a WWE prospect, and an American Ninja Warrior, KC wants to test herself in the MYC. She’s shown promise at the Performance Center, but she’s up against the woman who is “a little sunshine mixed with a little hurricane.” The Daughter of the Desperado returns from last year’s tournament, where she failed to get out of the first round. Will her six-foot sinister self make it a better go this time? Or is she just another tower for Kacy to climb? Kacy gives up a whole foot to Reina, but still wants to have a respectful match. She offers a handshake, Reina takes it, and yanks Kacy right in to stare her down. Fans are on Kacy’s side, and the bell rings. Reina corners Kacy, leaving Kacy with going straight at her. Reina laughs as she grabs Kacy and swings her around! She tosses kacy, and Kacy goes to a corner. Reina brings Kacy back up, then puts her in another corner. She grinds forearms into Kacy’s face, but backs off at the ref’s count. Kacy gets out to the apron and ducks the forearm to then slingshot up. She shows off that gymnast skill with that handstand headscissors! Reina hits buckles, but dodges. Kacy jumps and crossbodies, but is caught! Reina scoops but Kacy slips out. Kacy kicks but Reina whips. Kacy dodges and tilt-o-whirls, but is spun around to a backbreaker. Reina chokes Kacy on the ropes, and backs off at 4. Reina whips Kacy back into the corner hard and Kacy hits the mat. The Desperada tells her “You don’t belong here!” as she stomps a mudhole into Kacy. Reina scoops Kacy and hits a spinning powerslam! Cover, TWO! Reina grows frustrated with Kacy, so she gives her another backbreaker. She bends Kacy back across her knee but fans rally up. Kacy uses her free legs to kick, so Reina dumps her off. Reina drags Kacy back up, but Kacy wheelbarrows out. Kacy ducks only to get clobbered! Reina drags Kacy up and throws her around more. She kicks Kacy down, then drags her back up for a scoop powerslam! Cover, TWO!? Kacy survives and Reina has no idea what she has to do to finish this. Reina stomps, stomps and drops an elbow. Cover, TWO, and Reina is enraged! Reina puts Kacy in a corner, but Kacy dodges and Reina runs into the post! Kacy dodges an elbow drop and fans rally up. She dropkicks the bad leg, then to the stomach. Kacy trips Reina, then slingshots for the hotshot! She keeps going, springboard dropkick! Then a flip senton kick! Cover, TWO!! Kacy has the fans on her side, but Reina lifts her right up! Kacy wheelbarrows and victory rolls, KACY WINS! The American Ninja Warrior kicks Reina out of the tournament! Two years in a row, Reina fails to make it past the opening round! Reina, her rage subsiding, returns to the ring to shake Kacy’s hand. And then lift her up to show Kacy earned her respect. The Desperada is a good sport, will she find her own way into the WWE and NXT? As for Kacy, will she be able to springboard over the new meaner Rhea Ripley in the second round? Ashley Rayne VS Mercedes Martinez! The Queen Bee has been a literal Knockouts Champion, and while she’s sweet like honey, she packs a sting of her own. Everything she’s put into her career is worth it because it’s led her here to the MYC. Meanwhile, Mean Ms. Martinez did so well in last year’s tournament, only to be humbled by her student in Shayna Baszler. Mercedes is back, and she vows not to lose. There is so much combined experience in just this one match, and both women are chasing a dream worth dreaming. However, only one can take the next step forward, who will push the other aside to make sure they’re the one? The two veterans shake hands to show respect, and fans are fired up with the bell. They circle, tie up, and Mercedes gets a waistlock and slam. Mercedes gets a facelock but Rayne slips out to a hammerlock. Mercedes rolls through and switches the wristlock onto Rayne. Rayne spins and reverses to a cover, ONE! Rayne gets a facelock but Mercedes powers up and out to a Northern Lights. She floats to a cover, TWO, so she puts Rayne in a chinlock. Rayne endures as Mercedes shifts to a facelock. Fans rally up as Rayne fights out to a leglock roll up. TWO, but Rayne gives Mercedes a jawbreaker. Rayne runs, wheelbarrows, but Mercedes makes it a half-nelson driver! Mercedes sits on the cover, TWO! Mercedes is frustrated, she thought that ended it. She covers again, TWO! Rayne is groggy and Mercedes gets her in a butterfly lock. Mercedes holds on as they go around, and she brings Rayne to the mat. Fans rally up and Rayne rises, only for Mercedes to drop down and get more leverage. Rayne scoots them around and reaches with legs, to get the ropebreak. Mercedes backs off, but comes back for a big haymaker. She fires forearms, then runs in. Rayne dodges and then clibms the ropes, for a tornado DDT. Mercedes blocks it, and turns it into a verticle suplex. She holds it for a long, long time, before dropping her. But that’s just one amiga, she lifts Rayne for another. Rayne slips out, Rayne Check! She crawls to the cover, TWO! Rayne is shocked, but she keeps going, sliding lariat! She goes again, for another sliding lariat. Cover, TWO! Mercedes won’t let this stop her second run raggedy. Rayne runs, into a spinebuster! High stack cover, TWO!! Mercedes grits her teeth and waits for Rayne to rise. She has Rayne in the facelock, then the fisherman, but Rayne fights out, gets around and throws a forearm. Mercedes stays standing so Rayne fires off more forearms and chops! Rayne knocks Mercedes down with the roaring elbow! Rayne fires up and drags Mercedes up to whip. Mercedes reverses but Rayne fires out with a lariat, then a neckbreaker. Rayne keeps going as she runs in at Mercedes in the corner. She hits the big corner foraerm smash, then she slings Mercedes out. Rayne climbs, aims, and leaps for the crossbody! But she doesn’t cover, she wants to finish this. Dragon sleeper, to Cross-Rayne! Cover, TWO! Fans love this but Rayne is trying to figure out what to do now. Fans rally up as Rayne stands over Mercedes. Rayne drags Mercedes up in the dragon sleeper but Mercedes swings things around for the fisherman! Rayne reverses to a small package, TWO! Enziguri from Rayne! Rayne drags Mercedes up once again, But Mercedes counters again to hit a big knee strike. Mercedes lifts with the fisherman, for a fisherman buster! Cover, Mercedes wins! Don’t call it a comeback, Mercedes has been here for years. She’s going to make the best of her second chance, will she make it all the way to the finals? Or is facing Meiko Satomura in the next round a death sentence already? What a great second night! All eight superstars were so impressive, for good reason, and I really hope a lot of these women come back via NXT. Deonna returns, and I loved her subtle references to her Bullet Club connections (the finger gun and then the hip toss handspring dropkick is a Young Bucks staple). She’ll do great in her second time in NXT, and I hope she reaches the title this time. I hope Alexander and Aerial get to be a duo when WWE does Mixed Match Challenge 3. They’ve both got charisma and in-ring skill, they could go pretty far even in that charity tournament. Zeuxis wins tonight, though, so maybe that means Aerial has her spot solidified even outside of this tournament. Zeuxis herself might go far, it’d be good to have a Heel luchador to counter some of the Faces. Kacy VS Reina was probably the most entertaining match just on what Kacy can do. That gymnastics headscissor got a great reaction out of Full Sail, that was amazing. It was great that just as it looked like Reina was gonna attack, she actually and literally lifts Kacy up in respect. I bet Kacy will go far, too, she’s such a great underdog or Cinderella story to follow. Rayne VS Martinez was great, but the only thing I wish for it was that it was later. Both women are such stars, it’s a shame one of them had to drop out in the first round. Mercedes is already up against one of the hardest challenges in the second round, but I bet she and Meiko will tear it up in their match.